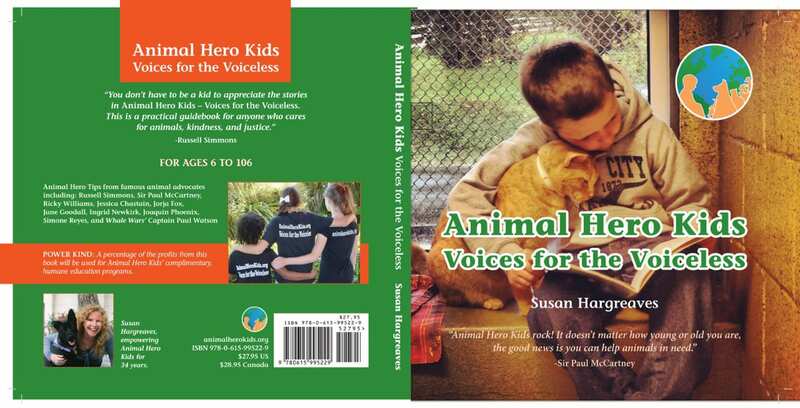 Blog post by, Susan Hargreaves, AnimalHeroKids.org founder and Animal Hero Kids Voices for the Voiceless author. I woke up thinking about Russell Simmons this morning and the news stories about the allegations surfacing in the current melee of #metoo maelstrom. We are witnessing a shift of no tolerance for sexual misconduct the like of which has never existed before. The picture painted by Russell Simmons accusers is one of a man with no regard for others feelings when he was in his earlier years as the father of hip-hop in the music business. 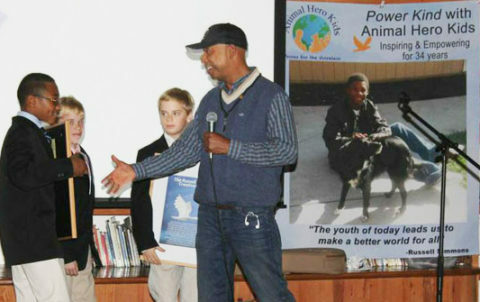 The person I have met on numerous occasions seems a very different man today, Russell Simmons was always respectful and in a way humble and only happy to help the youth empowering charity AnimalHeroKids.org by allowing us to name a creative Animal Hero Kids Award category after him. The youth he personally presented the award to felt encouraged and recognized for their compassion and courage. 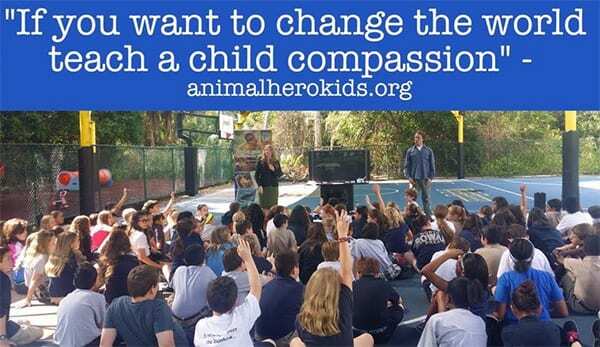 We are a small grassroots all-volunteer charity reaching 30,000 students each year with presentations fostering empathy, empowering youth to kind choices, and recognizing animal hero kids and teens. 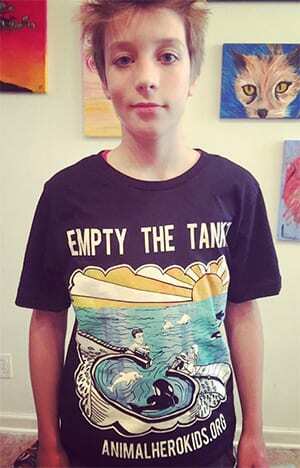 Animal Hero Kids Inc. could offer no large media coverage or any benefit to Russell Simmons apart from the resonating positive impact of recognizing children and teens aiding animals in need. At one of the annual Animal Hero Kids Awards in Calabasas, the roads were blocked with mudslides as the old adage “it never rains in California” was proven wrong, the monsoon prevented many parents and collaborators from attending as they turned back when the main highway was blocked. It took Russell Simmons two and a half hours to get there using roads not affected by the mudslides, it was that important to him to congratulate the youth who from all walks of life and different backgrounds chose to do the right thing. 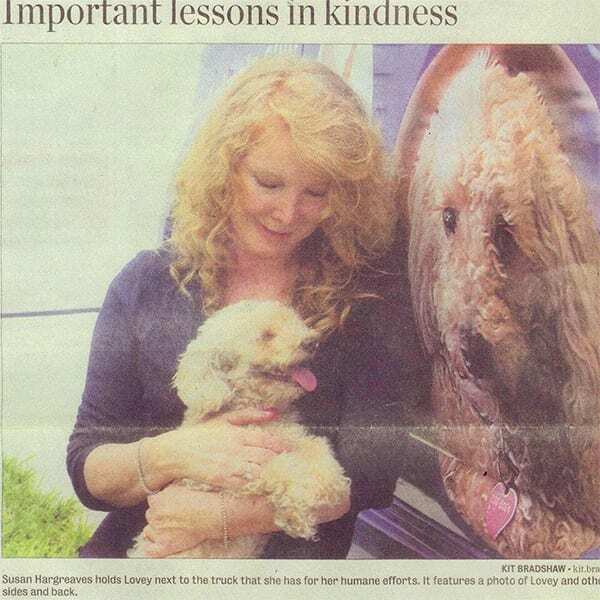 I write this blog post today not to excuse Russell Simmons for his past behavior, I wish to offer a glimpse of the man I have dealt with in person since 2013, a man with a lot to offer in his current example of respect for all living beings. It is time to seriously examine how to prevent a lack of empathy, this is a subject I have focused on and solved in challenging school and adult group settings in my 37 years work of creating and presenting programs to open hearts to consider the plight of others. It’s about time to create an open education center to host programs, give free resources, to serve as a solution oriented meeting place for all to come together to promote empathy, consideration, respect and compassion towards everyone and when I write the word everyone, I really mean everyone, both two-legged and four. Consider this an open call help me to make this center a reality. Authors Note: When people heard we had a Creative Animal Hero Kids Award for youth inspiring compassion via the arts or an idea…named after Russell Simmons, and he presents it in person the next inevitable question was…”why don’t you ask him for funding to help you make more of an impact? ‘’ I never did ask, thinking everyone would be asking for funds and we, the small grassroots org, could separate ourselves from the begging crowd by simply requesting only his presence to support.